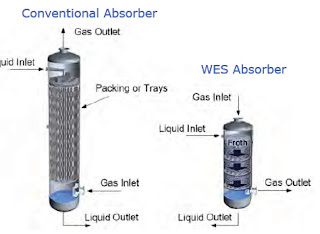 WES Absorber technology will provide unparalled reductions in absorber height and diameter and will allow for higher solvent loadings than current absorption columns with proprietary structured packing. Their absorber internals bring to market a product that will deliver significant cost, efficiency and weight savings to a wide variety of applications. 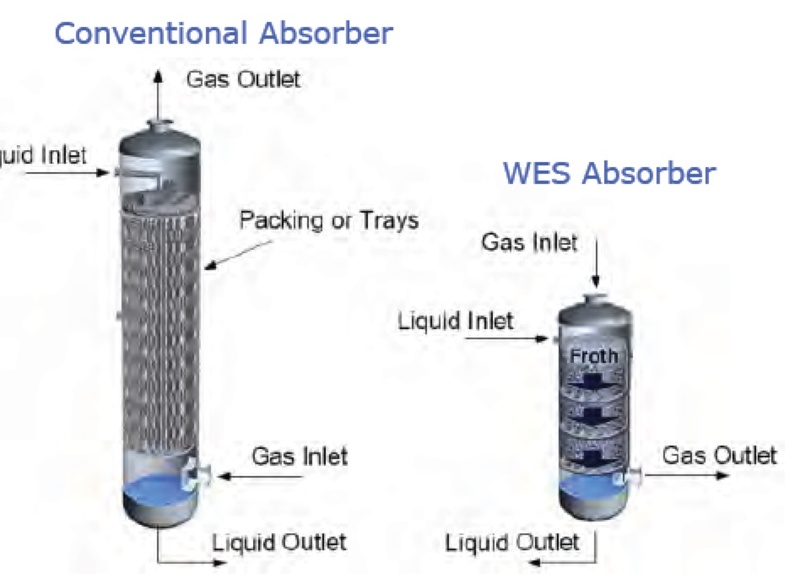 WES Absorber technology applies to all industrial processes where gas/liquid mass transfer via absorption is required, aimed at optimizing the liquid gas mass transfer processes across a vast range of sectors and applications. 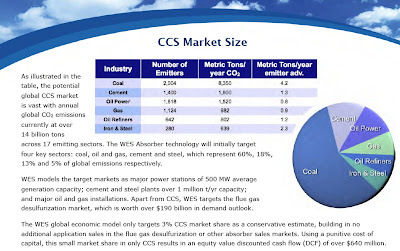 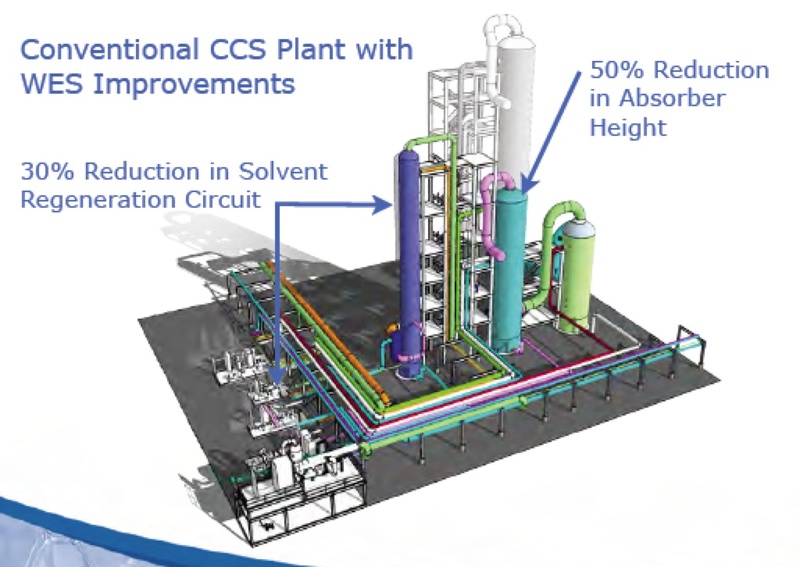 These applications include CO2 capture, gas sweetening, gas dehydration, gas purification, and NOX and SOX removal in industries ranging from carbon capture, oil and gas, LNG production, mining, pharmaceutical, fertilizer production and general industrial markets.